Since I work on sets, go to conventions, visit lighting rental houses and talk with people about lighting, I thought I would share things that aren't in the book either because they are new, or I never thought of it or I didn't know it yet. LED lighting technology continues to advance with newer and newer, better and better, lighting units coming out from a wide variety of manufacturers. The CRI color spread and the reliablity have improved dramatically, as has the diversity of forms the units have been taking. 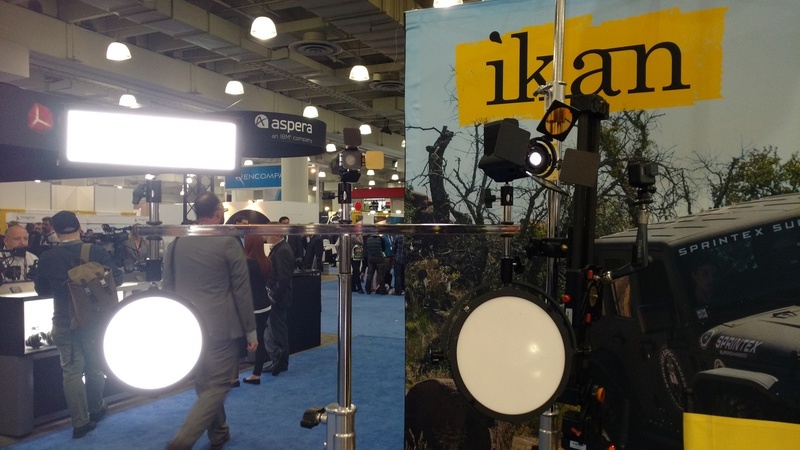 NAB Vegas and NAB New York both featured some impressive new tools for the lighting professional. 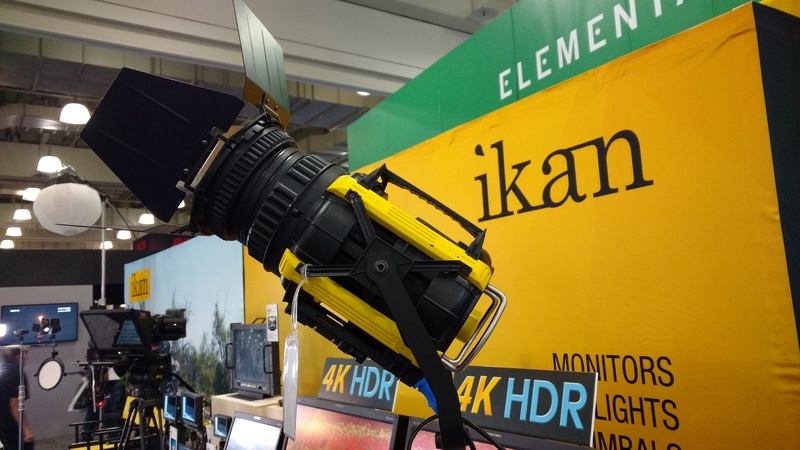 The most sugnificant and talked about units came from Mole and Arri, but Cineo, Ikan, Desisti and BBS all came out with some really nice new units. The new LED Tenner from Mole comes in either Daylight or Tungsten and has the output of a tungsten 10k, or a 6K HMI. But here's the thing, it only draws 19 amps - so it can be plugged into a 20amp wall outlit. No generator needed. Also its cool, producing very little heat. The power supply is large and Mole is considering adding wheels to it. 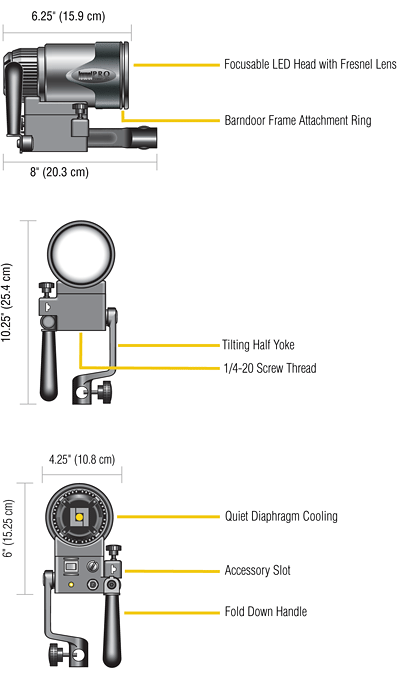 This is can become a great replacement for lower wattage HMIs. 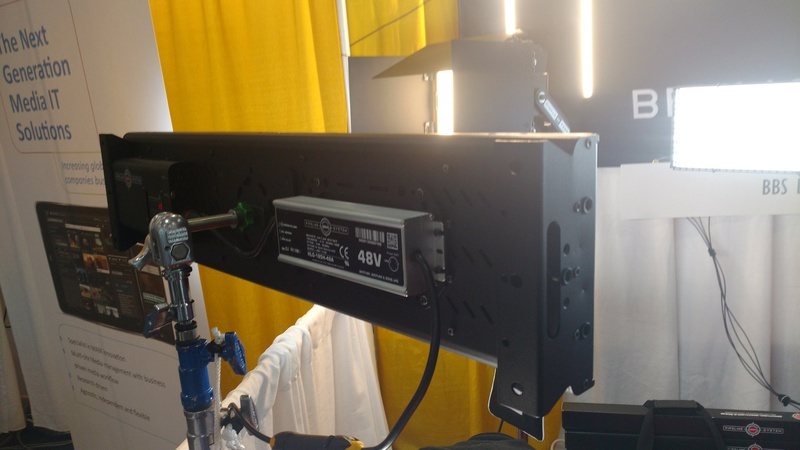 The line of LEDs has grown to include small location vari-moles, baby fresnels, the 4 unit spacelight and their new Vari-panel softlight similar to the Kinoflo Celeb but smaller. The vari-moles pack a nice punch but are not focusable, makiing them good for bounce and background accents. The Vari-panel has a milkglass diffusion front like so many other soft LED fill lights now, providing a very nice, even soft source. mole is known for their durablity and saw that in their ne LED lights. I'm very happy they switched away from the black and back towards the redish color for their units they've been known for since 1927. I realy like this new line-up. I lit a camp site scene for the Mole NYC LED demo at the IATSE Local 52 teaching stage. I used the tenner as the moonlight back, the 5k senior through a cookie and a vari-mole into a bounce card as fill, all daylight balanced. Inside the tent we had a tungsten mole and outside shining up as a camp fire effect we added another tungsten mole. For the ambiant fill we hung two LED bi-color space lights on goal posts. All units went through a light board system with simple DMX - no actual dimmers needed. On camera it came out really nice and the LEDs gave everyone the opportunity to easily play with levels and color mixing. The LED spacelights have great output, spread and even mixing for a very low wattage. I measured with my spectromiter and the CRIs were in the high 90s. 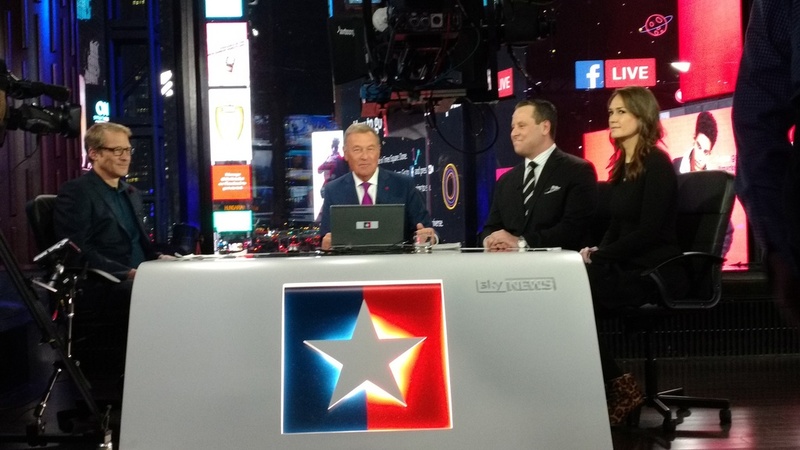 Arri Skypanels, L-5 Fresnels, Celeb 400 and ETC Lustras for Sky News 72 hour Election coverage. 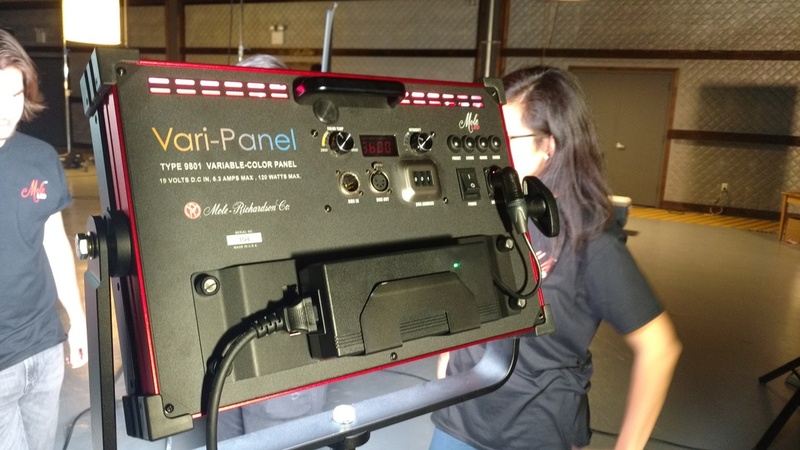 The Arri Skypanels have been taking production by storm. I've seen them on commerials, features, TV shows and at both NABs. 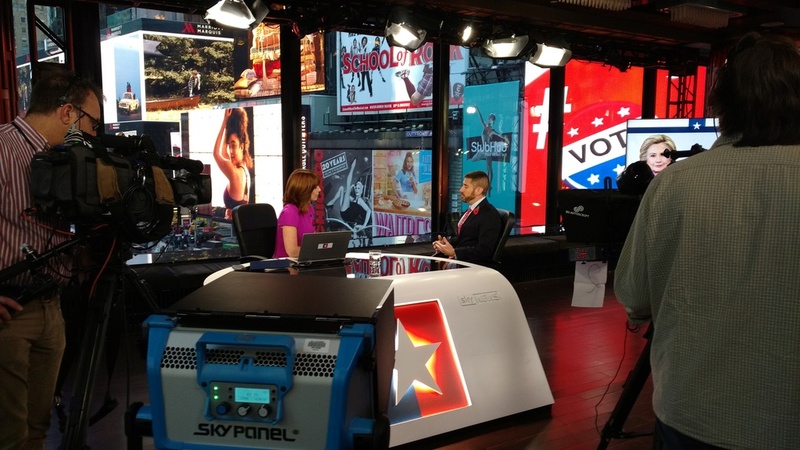 So I used them lighting the Sky News coverage of the US Election in Times Square. They are bright, soft and dmx controlable, which allows you to adjust their intensity and color easily. They allowed us to create a nice wash of soft fill for the news desk set and the election map area. 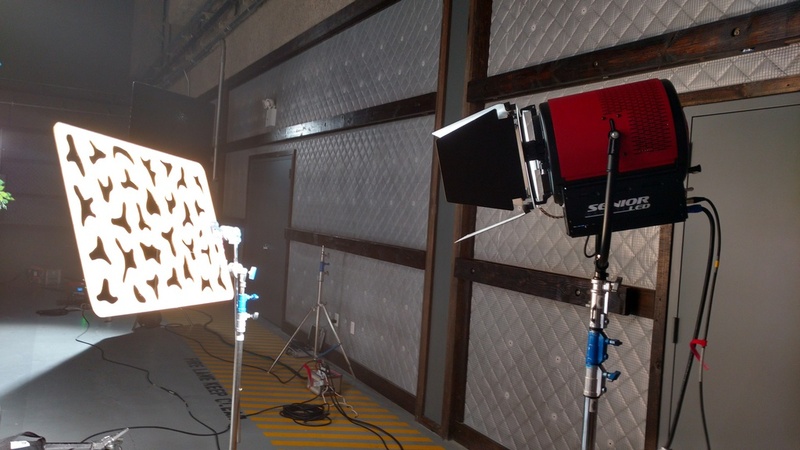 I paired them with the Arri LED L-5 C fresnels as back lights, with 251 on them as they were very low and close. I used the ETC Lustra source fours as the keys, with opal - but I found them hard to color balance as there are no kelvin settings available in their software. I had to use my spectrometer to measure the Skypanels and then keep measuring the Lustras as the board op adjusted the seven colors until the color waves matched. 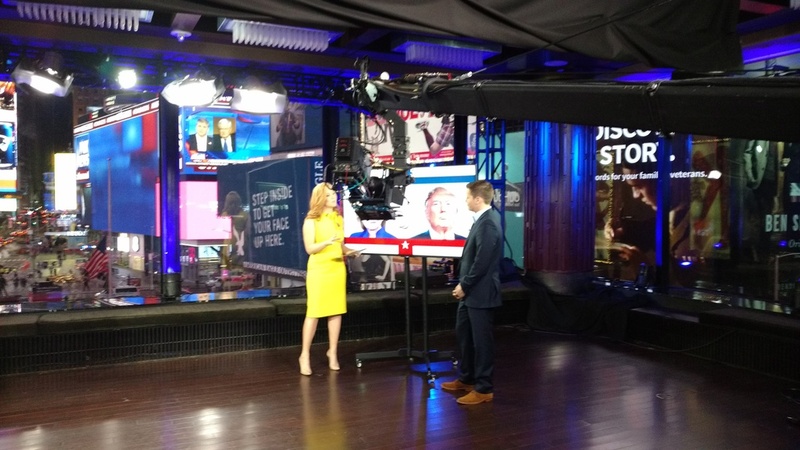 As it was a 72 hour broadcast, we had to create several looks - morning sunrise, mid-day, afternoon, sunset, and night - all with changes in the kelvin degrees and intensities to combat the wall of windows looking out over Times Square. The Lustras were also used to side light columns and we added Color One LED PARs as up lights on the set which we color matched to the column aimed Lustras. I had a Celeb rigged as a sort of chicken coop light above the news desk area so we could bring up the overall ambiance during the bright midday times. The package included an ETC Ion board and the job and lights all call came through 4 Wall Lighting - which just bought Shadowstone Lighting. Our two biggest challenges were the reflections in the windows and the lack of ceiling height to accomodate the jib. My grip Conor Stalvy put up truss goal posts, but my gaffer, Tank Rivara, had to top mount the lights to get them above the jib arm. I had a long black cloth teaser hung just above the cameras which we let drop down as far as we could to cut out the reflections in the windows behind the talent. As it was just clothes- pinned up, the jib could easily sweep under it and push it up when need be. 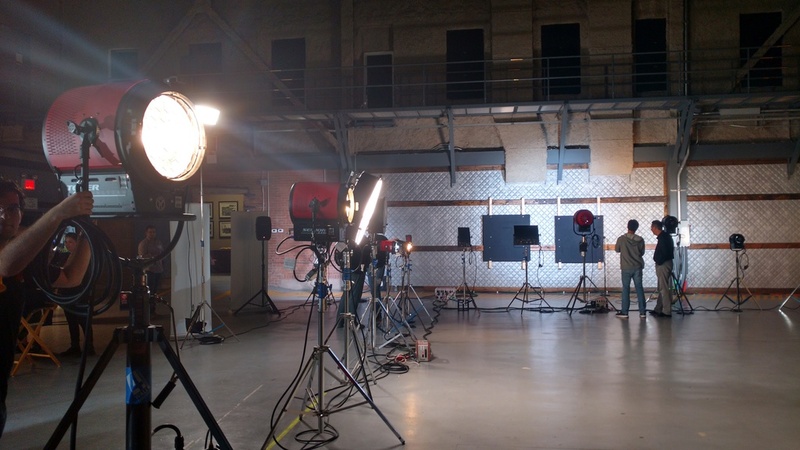 All in all I was very impressed with the Arri LED package. They were flexible and low wattage, and no heat which was exactly what we needed for such a tight space with sealed windows. The L-5s are a bit bigger than one would expect considering their output and the fact that the lens barrels out to focus was a bit odd. The Lustras would be good for theater, but I think may not be a good match for TV - the color balancing is difficult. The Color Ones (from Chroma-Q) pack a nice punch and were perfect for set accenting, generating really nice clean colors. We barely went over 25 amps and we had around 35 lights bruning all the time. That's LEDs for you. The client was happy that it looked nice, we changed colors during the day and it never got hot. That's the new world of LEDs. I can now say that I recommend these daylight, low wattage and rather versatile LED location lights. 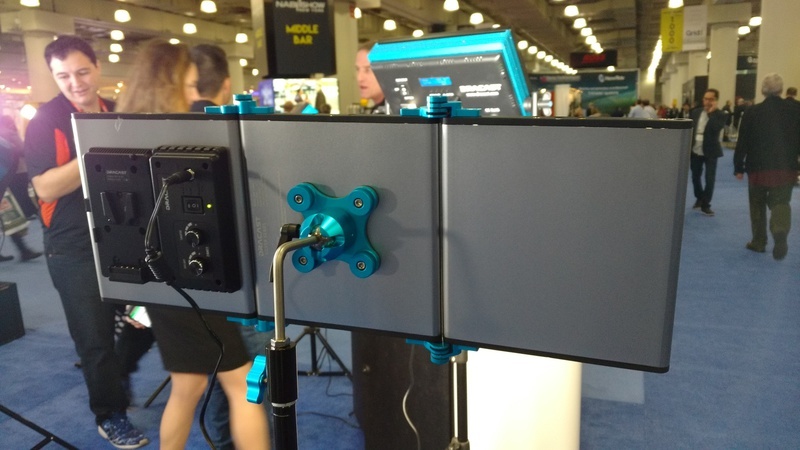 I saw the lowel Pro LED lights first at last year’s NAB and then at the UFVA conference in August. Russ from Lowel loaned me a kit to test out and show to my students. Now, I have to admit that at first I wasn’t too impressed with these daylight LED units. Their flashlight like design was unusual and the fact that they focused by extending the barrel was also not very standard (although several new LED lights do spot and flood by this mechanic, including the Arri LED fresnel and the accordion zylight LED fresnel). When I showed them to my lighting class, no one seemed to be too eager to take them for a test drive. But then I got booked to shoot an educational video with Clarke Com. It was a how-to for teachers on how to teach bicycle safety to kids inside a gym, which would have industrial lights and windows. 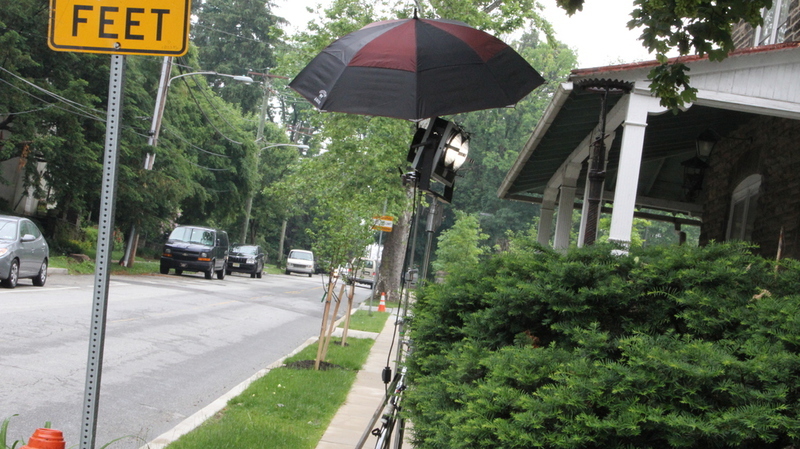 The shot list was ambitious so I knew we wouldn’t have a lot of lighting time nor control. I decided to take along the Lowel Pro LED kit (which has three lights) and the new Ushio ProPanel 2x2 bi-color LED softlight which was loaned to me to test by James from Ushio/zylight. They turned out to be the perfect combination. The annual Creative Content World is now becoming NAB New York, and bringing with it more lighting and camera technology and speakers. I stopped by several booths, visiting many of my old favorites including BBS and their LED interview kit, Cineo and their new Matchstick combo kit – the new matchsticks come with small attachable dimmers - and Ushio/ Zylight with their accordion style LED Fresnel and Por-Panel bi-color 2x2 LED softlght. Of course I always hang out at the Shadowstone booth as they are a dealer in everyone’s units and just a bunch of great guys – a family run business. Paul showed me two great new tools for the lighting trade that every gaffer and DP should be aware of. One was the new Lite Mat LED ribbon panel. Extremely thin and almost weightless, this can be mounted on a stand or just taped up on a wall. Often on Project Runway we ended up building someting similar using LED tape when in tight spaces. But now it can be made to order. It comes with a removable grid. 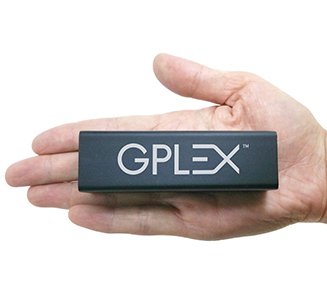 The second great item is the Gplex from Gantom. 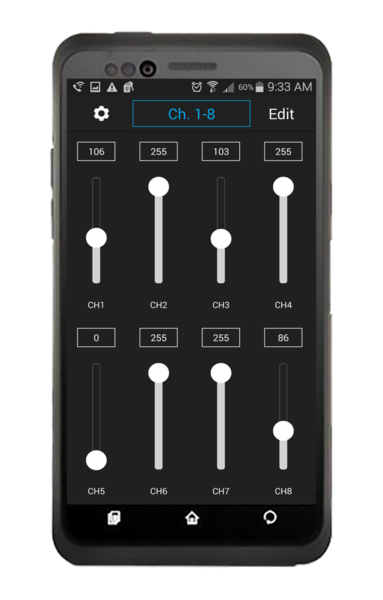 This handy little box is a dmx controller which when used with the free app changes your smart phone or tablet into a dimmer board. It’s incredible and inexpensive – around $200. We hooked it up to a tri-color LED spot and had a ball changing the colors and dimming the unit, all from my old iphone. Really cool and a great tool. While Mole introduced several new revolutionary lighting units this year, the advancement receiving the biggest attention was their new LED Senior Fresnel light. A senior is a 5,000 watt unit, but the new LED unit only draws 900 watts, which means that instead of needing a generator to power the light, it can now be plugged into a standard household outlet. 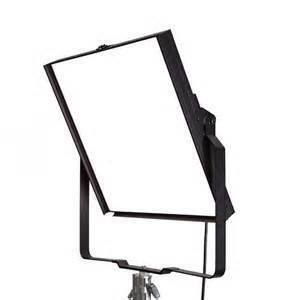 The unit comes in either tungsten or daylight color temperatures. This unit is really ushering in the demise of the standard HMI light. HMI’s are daylight internal arc sources that require high wattages and heavy ballasts to operate. They are also famous for electrical leakage that can result in shocks. 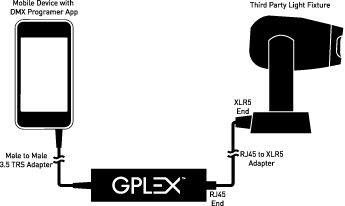 The Mole LED Senior is an HMI replacement that uses a fraction of the electricity and requires no ballast or grounding. 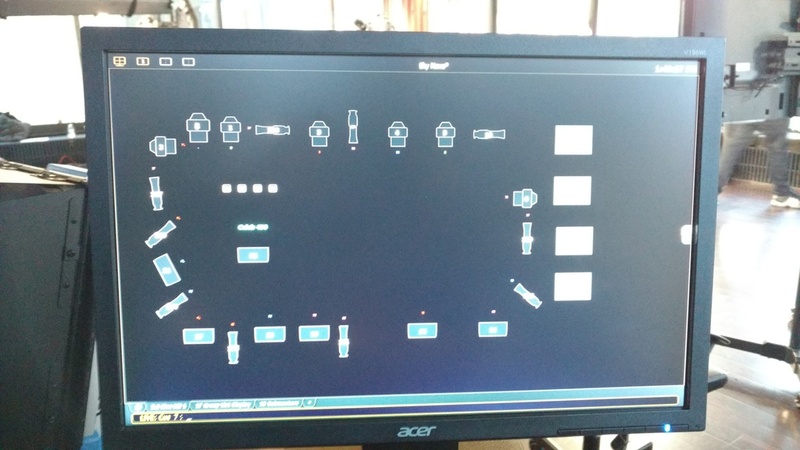 This may be one of the most significant advances at the Nab in lighting this year – the foreshadowing of the demise of the HMI. The Tungsten unit has already begun to be phased out by the new LED units. But tungsten units are still much cheaper. HMI lights are expensive and balky and generate a lot of heat. The lamps are fragile and can be dangerous. These Daylight LED units are lighter weight, smaller units with much lower wattage (which means no generator rental required), virtually no heat, smaller profile and less expensive to buy or operate. The CRI color problems of LEDs in the past are almost all gone. The new design of the inverted cone of mini-LED clusters provides the newest units from Mole and several other manufacturers which a true point source, eliminating one problem that has plagued the LED development in lighting instruments. This new design which pioneered by Mole and is now being utilized by many other manufacturers has eliminated the multiple shadow problem and allowed the unit to be truly focusable, which has also increased the throw of the LED unit. Mole is now working on creating a 10k equivalent Fresnel which will draw less than 20 amps. Mole introduced their 2k zip soft light with LEDs instead of standard tungsten lamps. Instead of drawing 2,000 watts, this new unit only draws 500 watts. It comes in either tungsten, daylight or bi-color which allows the unit’s color temperature to be dialed. The big advance of this unit over the diffused panel soft light LED units being introduced by many is that the LEDs bounce off the white painted coved surface the same as the tungsten lamps used to, thus providing a true diffused soft light, which has excellent throw and intensity. They also dim entirely with no color shift, which is a major improvement over the standard tungsten. They generate virtually no heat and last years without needing to change the lamps. They also introduced their bi-color LED baby softlight and 1k fresnels, which both only draw 250 watts rather than 1,000. 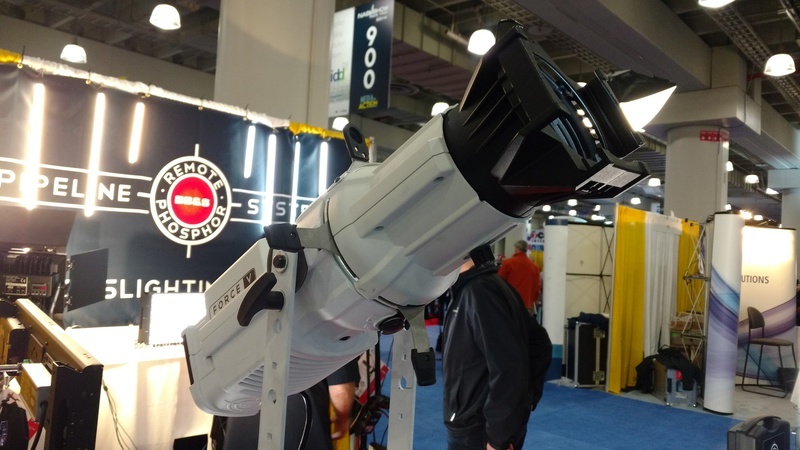 Last year Mole introduced their LED space lights. This year they added a yoke to the instrument design, thus allowing the unit to be used as a skypan as well. Cineo released their new Matchbox, a small compact remote phospher soft light that packs a great punch. It has a small dimmer and goes down to zero without flicker. With interchangable panels for 3200k, 4300k and 5600 k, it can be battery operated which makes it an ideal eye light- but it's also so bright I used it as a key for some glamour close-ups. 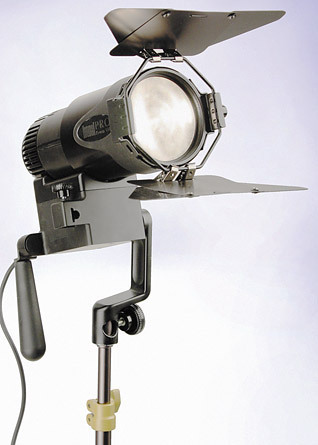 Another HMI killer are the new LED “maxi-brutes” from Scorpion lighting. These uniquely designed units feature multiple rows of small LED lamps arranged similar to a 9 light or maxi-brute. Daylight balanced, they have units equal to a 9K maxi-brute and a 12k HMI in lumen output – all for under 20amps. No ballasts, no electrical leaks, no need for generators. They are made to be aimed through silks or bounced. With the option to switch out the mini-reflectors to change the spread, these units are truly incredible game changers. Arri lighting unveiled their new line of Skypanel LED lights, which have a tremendous lumen output for very low wattage. They introduced two types, a remote phosphor which can be changed between tungsten, daylight and another K degree, and one multi-color LED which can create almost any color. 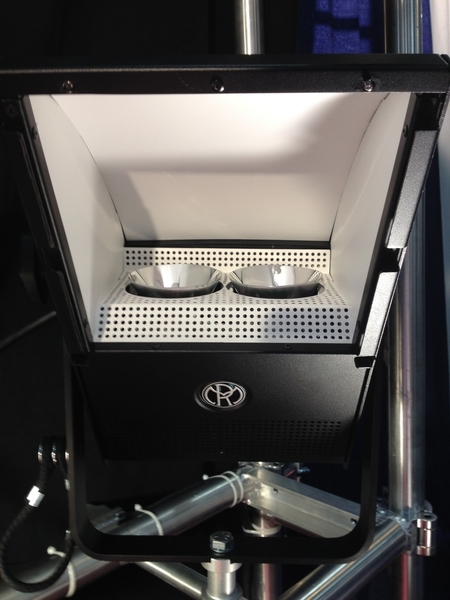 The units are around the size of a KinoFlo celeb LED light. While producing truly beautiful and impressive quantity of light, the detractions include a bulky external power supply and a rather high picket price. They were also promoting the unit as being able to replace a spacelight, but without a skirt it really doesn’t do the same thing. Also the unit is a rectangle and not a circle, which changes its spread distribution. 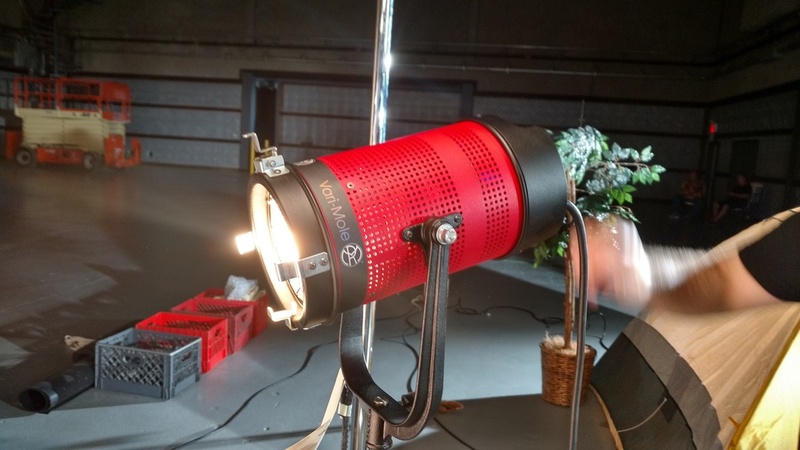 They also introduced more of their color changing LED Fresnel. Again, beautiful light that can be changed o almost any color, but the drawback here is that the front lens telescopes out to spot. This change in profile means that any flags or nets set during lighting would have to be re-set if the unit was spotted or flooded on set. The most significant thing in lighting at the NAB this year was hidden in a corner on the second floor of the post and sound building where virtually no one went. A new company has introduced an LED EGT lamp replacement. 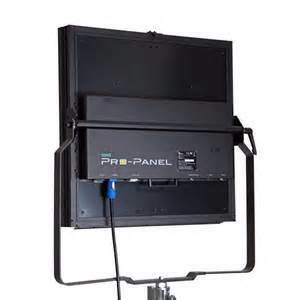 For only $750 this unit can be placed inside any standard 1k Fresnel unit made by Mole, Arri, Desisti or anyone else and change the unit into a low wattage, high output LED light that is dimmable. This will become a true game changer in the lighting industry as it allows people to use their existing units and not have to buy all new expensive ones when converting to LED. The lamp was invented by Pete Smith and you can find out more through his website at visionsmith.com. The company also has some very interesting units, such as their Hex Lux which are 98 CRI and can be battery operated. Other notable new lighting products included daylight and tungsten remote phospher LED light tube units being manufactured by BBS lighting, which won a best in show award. They come in lengths from 1' -6'. Bright and soft and tin. RST is a new company which has prototypes LED tubes that are inexpensive and durable in design. Both of these units are ideal for lighting in cars, under bars and behind candle sticks. The RST untis are around $150 per tube and $250 for a power supply that can run four units. 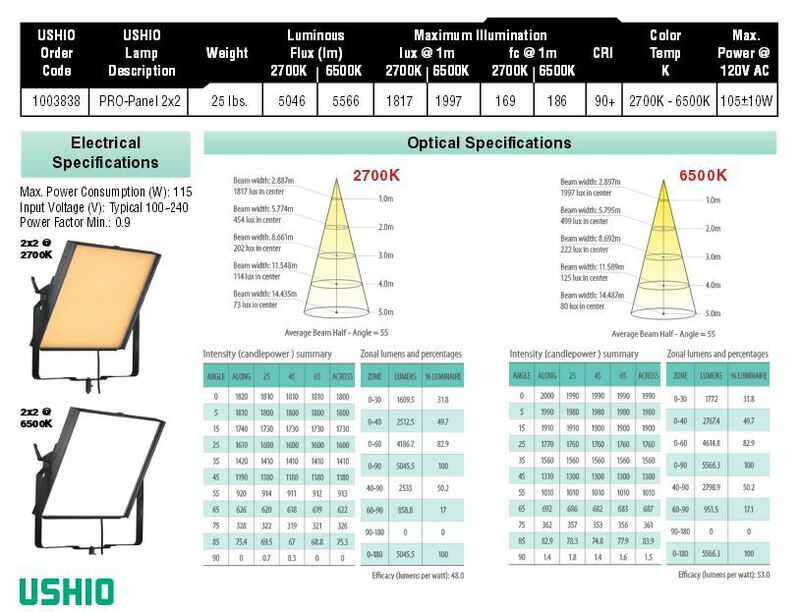 Rosco has announced a new design for their litepads, which are truly light weight, soft and low wattage LED units. 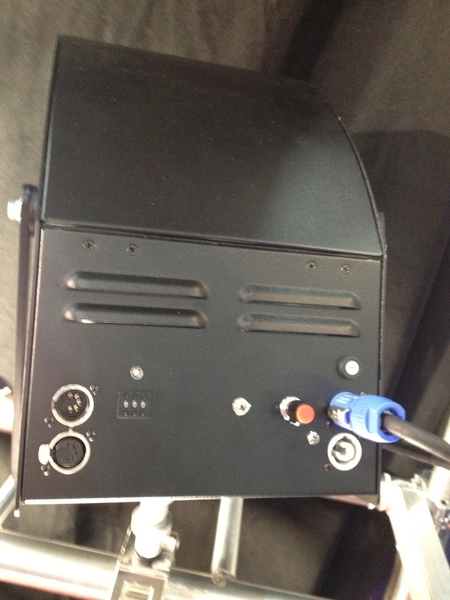 Basically they have gotten into the panel light design with larger, yoke mounted units. But the real advance from Rosco is their own LED tape, which comes in tungsten, daylight or multi-color changing, at a very reasonable price point. They even have a gaffer’s kit with several pre-cut lengths and they are all able to be powered either by AC or DC. 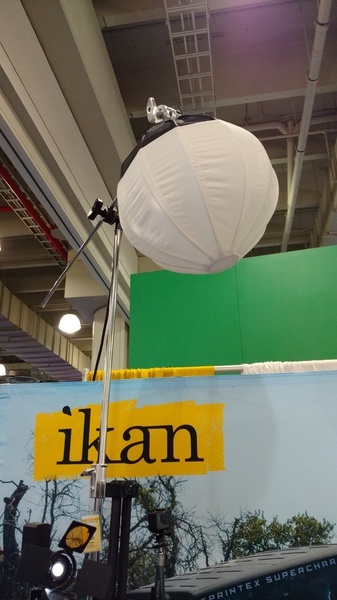 And Gantom has a new line of Dark lights - miniture LED spot lights that can run off small battery units or AC, including five color dialable spots with a small control unit and tiny "leko" lights that can project a tiny gobo. I spoke at the annual CCW show in NYC and visited the Shadowstone Lighting booth to look at the newest lights that came out. There were two very impressive new lighting tools. 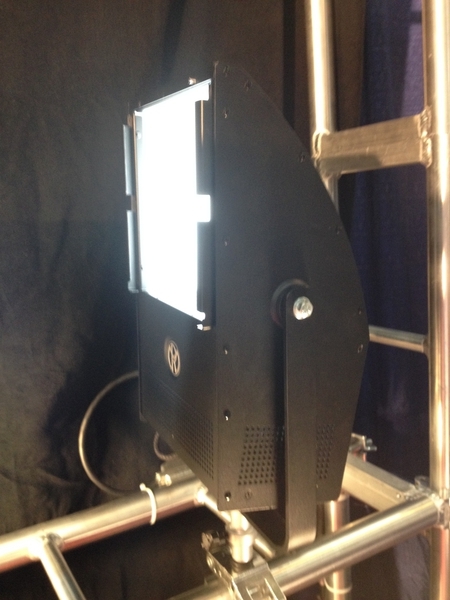 The first is the new "tungsten" HMI joker from 5600K. I never saw an HMI that had a 3,200k color temp before. 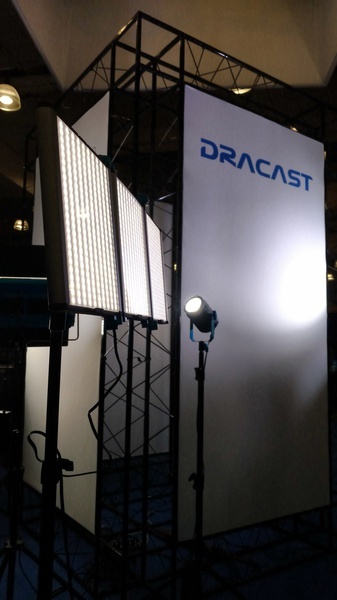 The new package comes with two units and four lamps, 2- 3200k and 2-5600k(two stands and ballasts, of course). That's a nice versatile combination. The other was the new Mole Richardson LED baby zip soft light. Its exactly the same as the tungsten baby zip, but instead of an FCM halogen lamp inside the base there are two LED clusters that shine up into the white reflector. The light is bright and soft and totally cool to the touch, only 250 watts. The "2k" Zip is 500 watts. It has a 95 CRI but here's the cooler thing - it can also come in daylight 5,600k. They have a dimmer on the back that allows them to go to zero. This is a great new addition to the new line of Mole LEDs which have a nice high CRI and a smooth shadow look. Mole already introduced a new LED refitting for their studio baby and junior fixtures which allows you to swap out the tungsten guts for an LED "lamp", which also come in either 3,200k or 5,600k changing the 1k to a 150w and the 2k to a 400w. While these units certainly aren't powerful enough to do much outside on a sunny day, you do now have very low wattage daylight units for shooting inside rooms with windows. Really cool (pun intended). 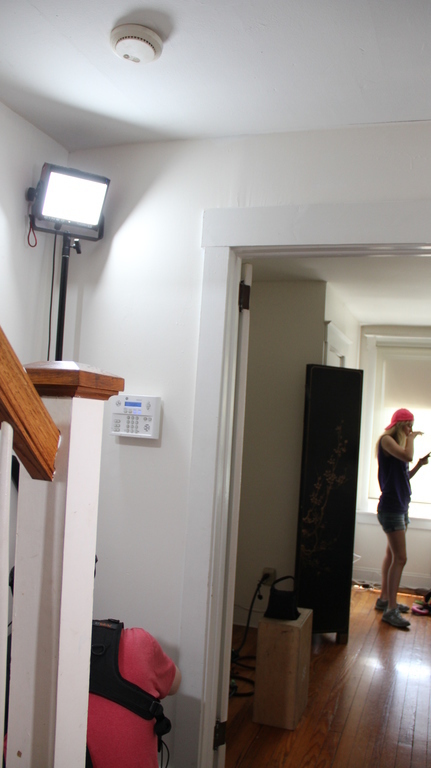 Just finished shooting the low budget feature "Stray" where we really depended on the new Cineo LS remote phosphor lights. Shooting in tight locations, the small profile of these units and the large soft output for such low wattage allowed us to rig lights in the corners of small hallways and other hard-to-hide-unit areas. 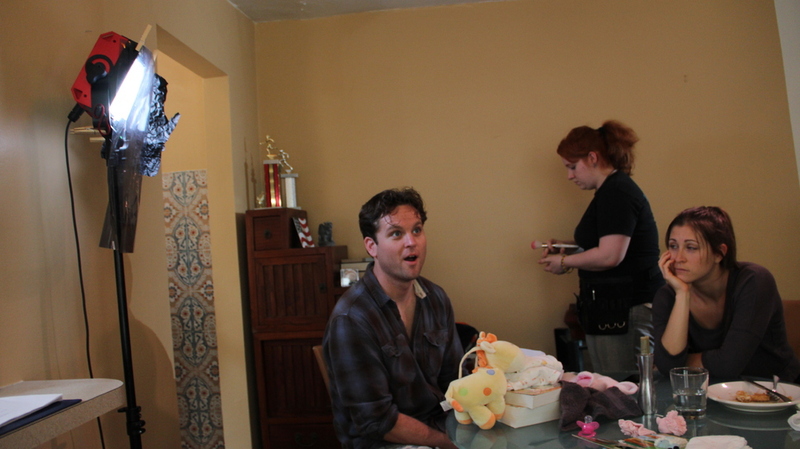 My gaffer Zach Scott really fell in love with this lights. What was really impressive was the high CRI of the units and the ease at which it was to change them from tungsten to daylight by easily swapping out the front diffuser panel. They have a dimmer on them which lowers the brights by about two stops without any color shifting, but at times they were still too bright and we had to added ND 3 and diffusion on them. 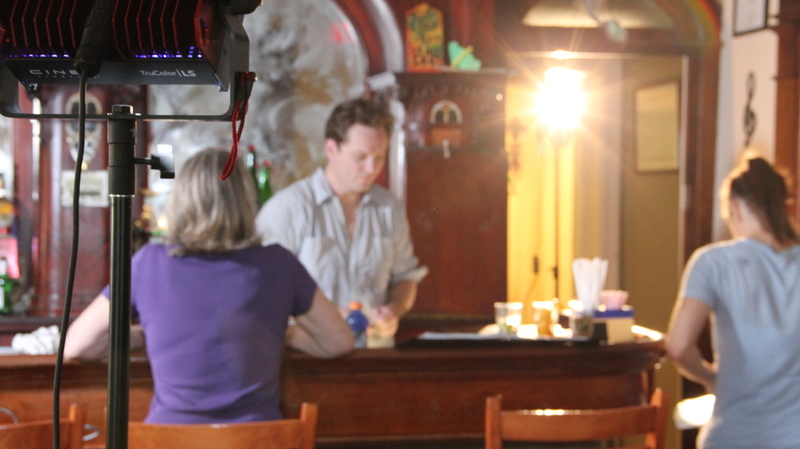 For a night bar scene we used the LS without the diffuser to get a really bright neon blue color. 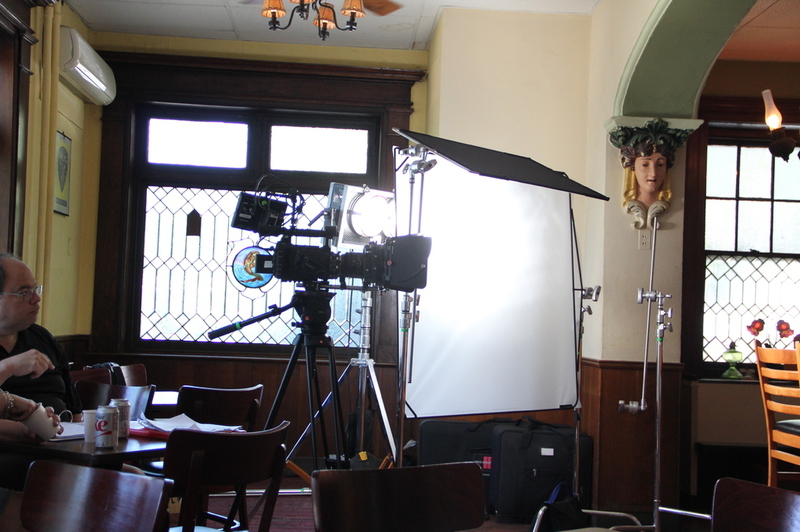 We did put opal diffusion over the face just to stop any direct light from shining into any of the actors eyes. On the same film we also used the Hive plasma two PAR Killer light. Again, the low wattage allowed us to get a bright daylight source without having to use a generator or a tie-in. We used it through a 4x4 250 frame inside and it subbed for daylight during an overcast day through a window. 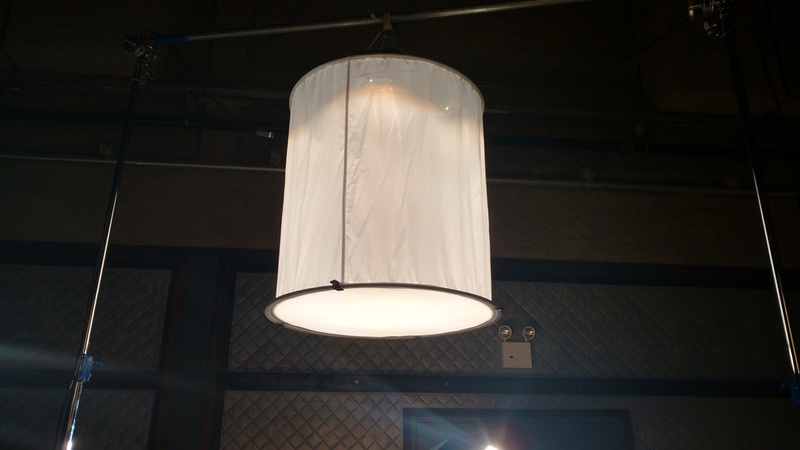 We used it for the night scenes, bounced into an 8x8 white grifflon, but the two lamps were actually too bright. So we killed one PAR lamp. While the unit isn't dimmable, you can turn on and off the two PAR lamps individually. Through a frame of diffusion or a window it gives you a really beautifully bright full spectrum daylight source. I worked on a pilot for a TV series, on the lighting rigging crew, and thought this was a very creative way to accomplish something. 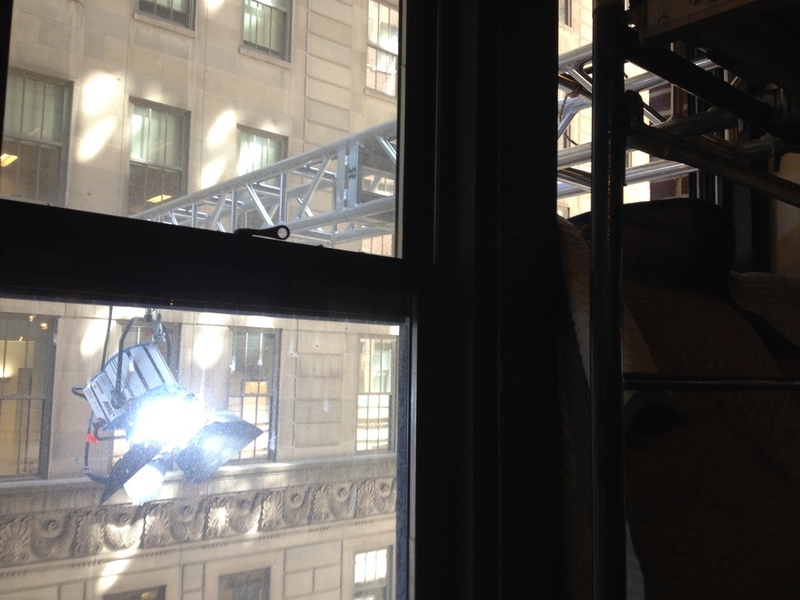 We were shooting on the second floor of an office building on Wall street. The streets are narrow and the city won’t close them down, of course. So how can you get "sunlight" to stream in through the second floor windows if you can't put up scaffolding and the street is too narrow to allow condors or lifts to be parked on it? Luckily, the third floor was vacant and under construction. 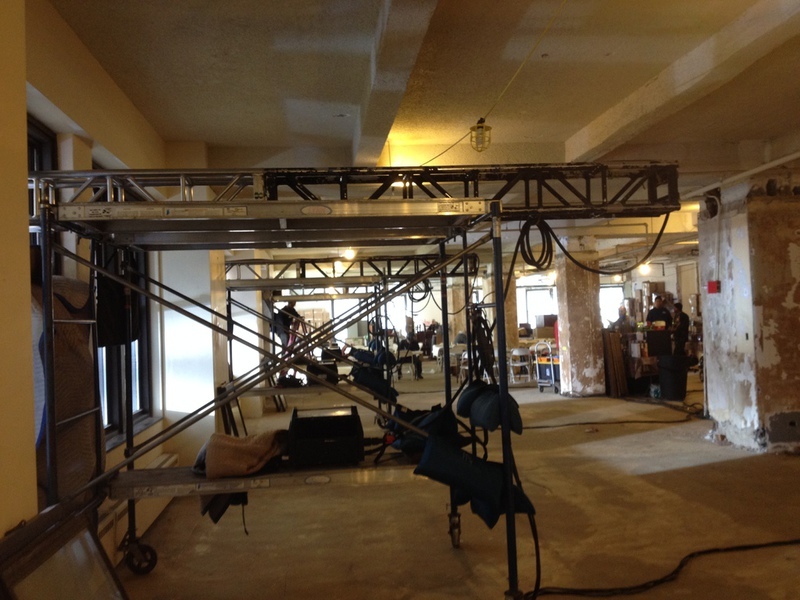 So six 1,800 w HMI Arri PARs were hung on the end of long trusses that were strapped on top of sections of rolling scaffolding. The trusses were then pushed out the windows and aimed down in through the windows on the floor below. Takes a lot of equipment and the luck to have an empty floor above – and the ability to remove the windows. But it sure worked great.